If you’d like to make these too, all the recipes and tools you’ll need are below. I used sugar cookies as the base. You can find the recipe for the dough here. If you’d like to try a different cookie base, other recipes can be found here. 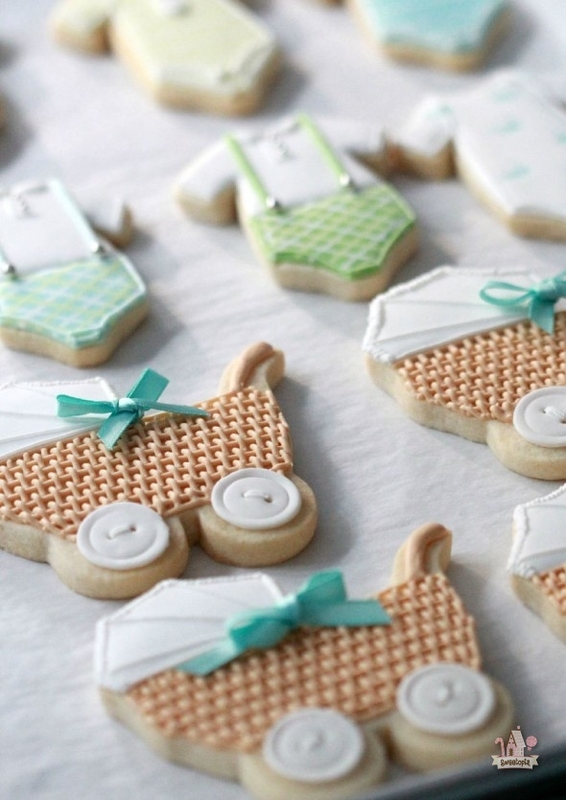 The baby carriage cookie cutter can be found here . This video on outlining and flooding is a good place to start if you’re new to decorating cookies with royal icing. 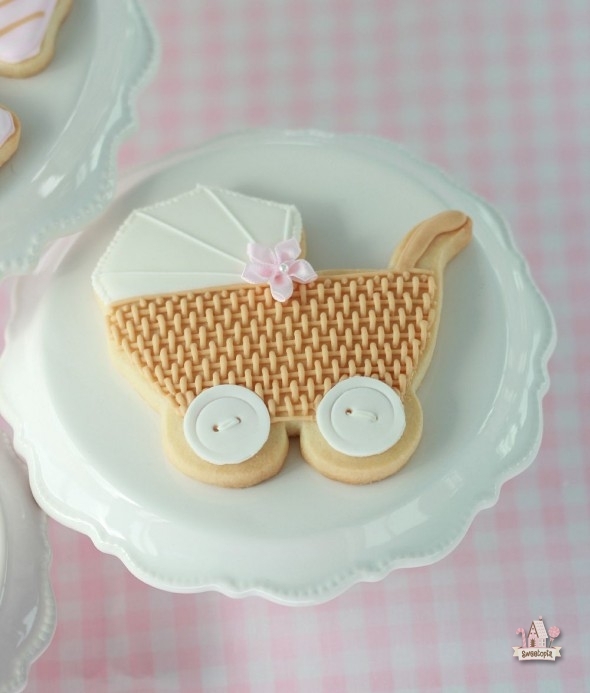 The complete step-by-step decorating process for the carriage cookies can be seen in the video. The blue themed carriages can also be found in an earlier post on how to thaw frozen cut-out cookies, which can be found here. Many thanks to Shiori of Fiocco Cookies! 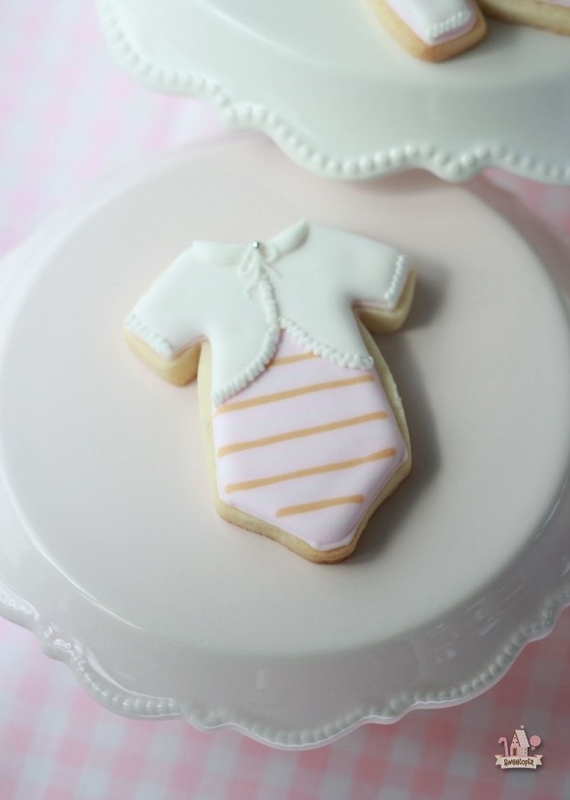 The baby shower cookies in this post are based on her cookies – Thank you to for being such an inspiration! 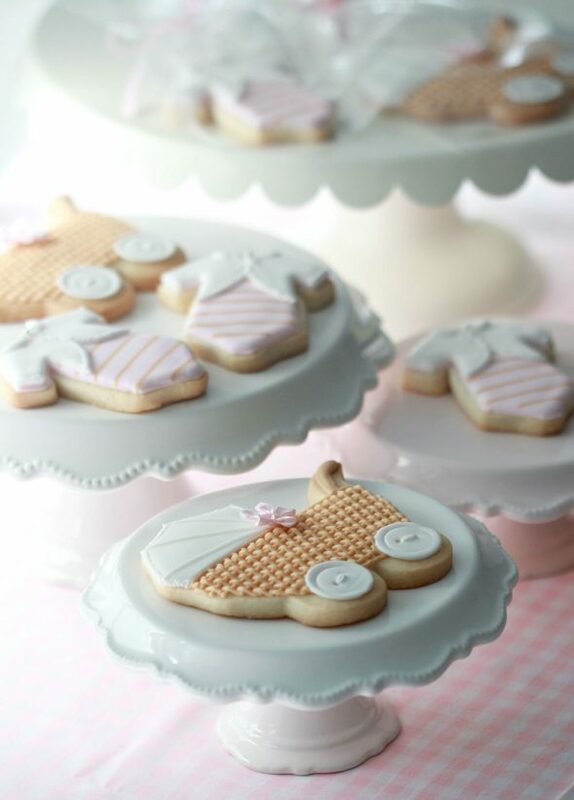 You will surely fall in love with all her pretty cookies too – check out her website here. 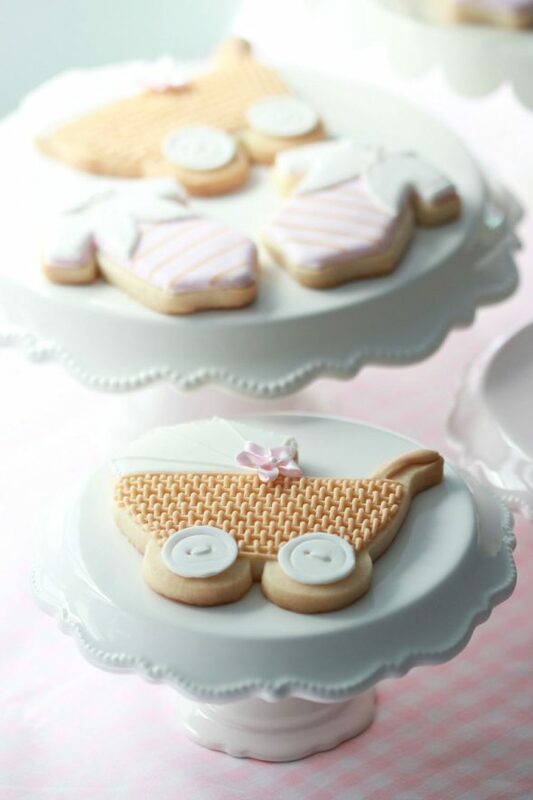 Marian, these cookies are precious! Perfection as always. Thank you for sharing! Your videos are always so beautiful to watch. Thank you for sharing your talent! Like Marguerite said: What great skill and PATIENCE, wow! These lines….perfectly straight as usual. Simply amazing. Oh my gosh! Again, I can never say enough about how incredibly talented you are! 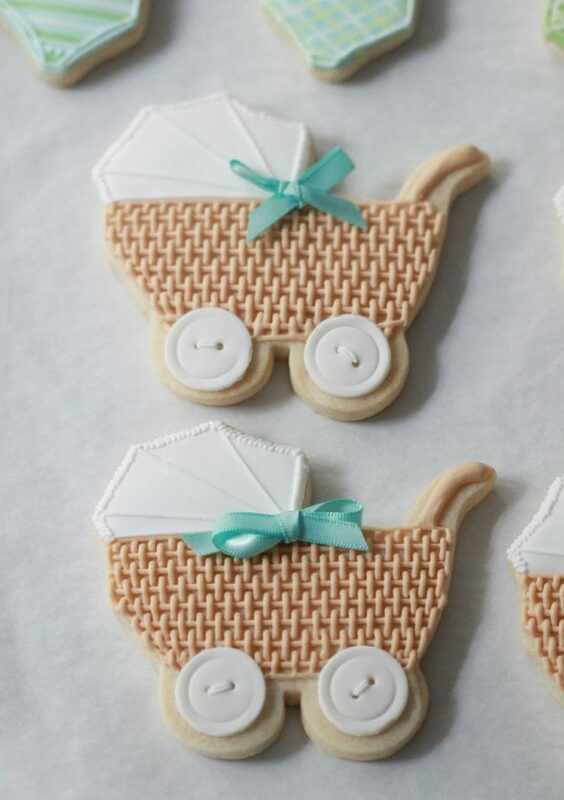 Oh my.. oh my..how amazing are your carriage cookies! I love them. Excellent video! Your work is always so perfect and beautiful. I wish I had such a steady hand like you. 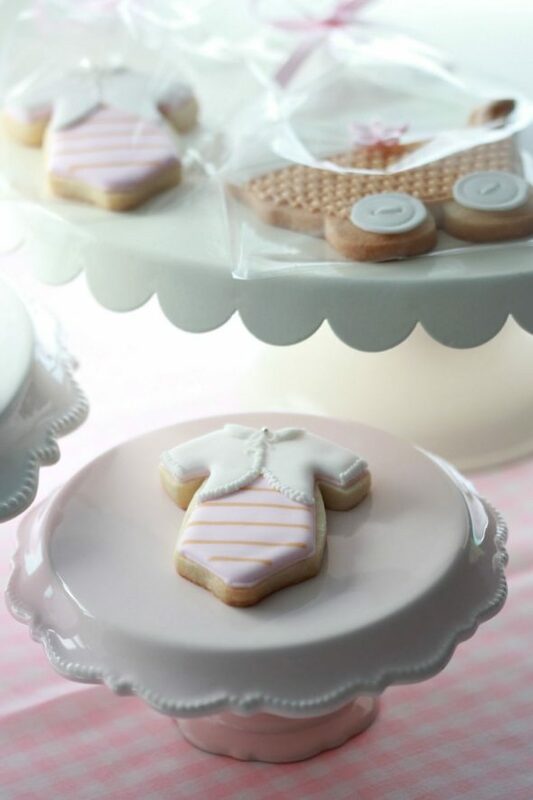 I love the mini-cake stands! There are so elegant and cute at the same time! Where did you find them? I bought them at a store in Orillia, Ontario, Canada, called the Saturday Afternoons store. Beautiful! 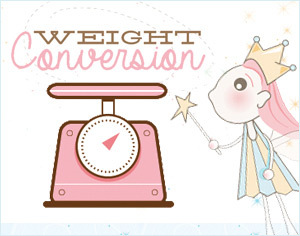 Thanks for posting video tutorial. Wow Marian. Once again, you’ve outdone yourself. I love how you combine all these tiny details in one cookie. Thank you SO much for posting this! 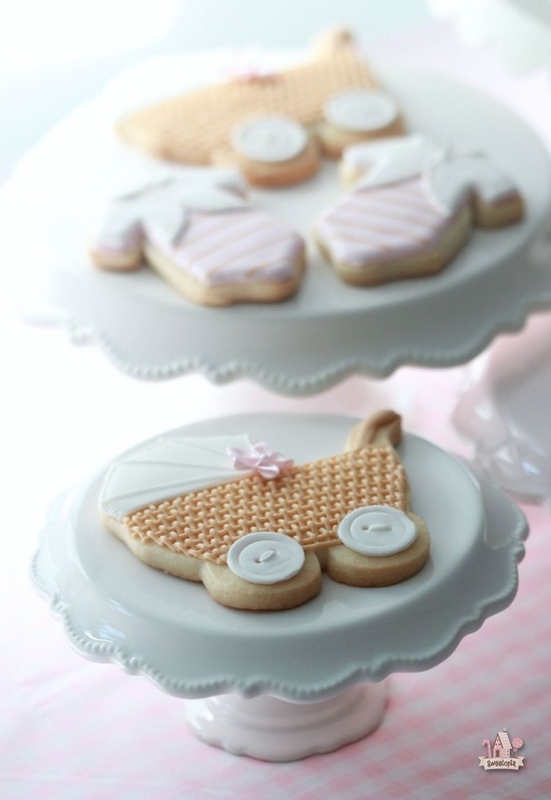 I get tired of doing prams the same ol’ way and this is simple and elegant. Can’t wait to try it out. Happy Decorating!